Scoliosis doesn't normally improve without treatment, but it isn't usually a sign of anything serious and treatment isn't always needed if it's mild. Some people with scoliosis may also have back pain. This tends to be more common in adults with the condition. See your GP if you think you or your child has scoliosis. It's unlikely that there's anything seriously wrong, but it's best to get checked out. Your GP will examine your back and can refer you to a hospital doctor for help with diagnosis if they suspect scoliosis. An X-ray of your back will be carried out in hospital to check whether your spine is curved and how severe the curve is. If you're diagnosed with scoliosis, you should see a specialist to discuss treatment options. Treatment for scoliosis depends on your age, how severe the curve is, and whether it's likely to get worse with time. Many people won't need any treatment and only a small number will need to have surgery on their spine. Babies and toddlers may not need treatment as the curve might improve over time. A plaster cast or plastic brace may be fitted to their back to stop the curve getting worse as they grow. Older children may wear a back brace to stop the curve getting worse until they stop growing. Sometimes surgery may be needed to control the growth of the spine until an operation to straighten it can be done when they stop growing. Adults may need treatment to relieve pain, such as painkillers, spinal injections and, very occasionally, surgery. It's not clear whether back exercises help improve scoliosis, but general exercise is good for overall health and shouldn't be avoided unless advised by your doctor. 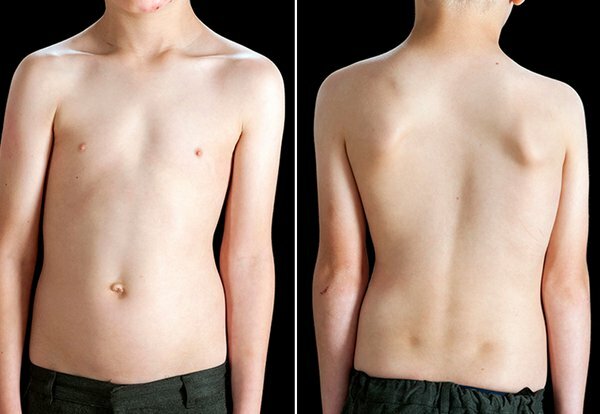 Read more about treatments for scoliosis in children and treatments for scoliosis in adults. Most people with scoliosis are able to live normal lives and can do most activities, including exercise and sports. The condition doesn't usually cause significant pain or any other health problems, and tends to stay the same after you stop growing – see your GP if it gets any worse. Having scoliosis or wearing a back brace can be tough and may cause problems with body image and self-esteem, particularly for children and teenagers. You may find it useful to contact a support group, such as Scoliosis Association UK. These groups are a good source of information and support, and they may be able to put you in touch with other people in a similar situation to you. Read more advice from Scoliosis Association UK about coping with scoliosis and scoliosis support. Idiopathic scoliosis can't be prevented and isn't thought to be linked to things such as bad posture, exercise or diet. Scoliosis Association UK has more information about the different types of scoliosis.